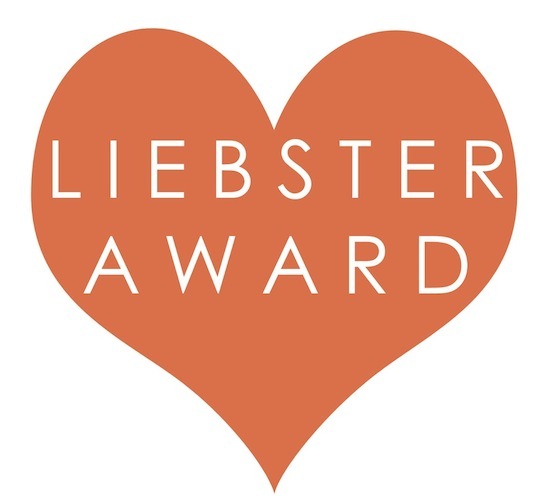 So i was recently nominated for the ''Liebster Award'', i was a little confused at first 'cause i had no clue what was that about, but after some research and with the help of my nominator Cynthia i was able to understand the concept of it all. It's basically a chain where bloggers answer the questions their nominator has provided them with and after that, they go and make up 11 questions of their own and tag other bloggers to answer their questions. (These Bloggers have to be people who have less than 200 followers supposedly). Here are the questions that my adorable nominator Cynthia provided me. 1) What has been your most embarrassing moment? it's crazy to say that i have no idea, it's not that i've never had one but apparently it wasn't embarrassing enough to make me remember, Ha'. 2) Who is your favorite band/ singer ? this is always a hard question for me. I find i have a very wide taste in music and i actually like a whole lot of singers, i love ''The Script'', ''One Republic'' , ''The Fray'' , ''John Mayer'', ''Ed Sheeran'', ''Coldplay'' always fan of ''Demi Lovato'' and why not ''One Direction'' as well haha. 3) Who's your celebrity crush? Well, i have a few actually, Zac Efron Lover, Dave Franco for sure, Ian Somerhalder all the way. 5) What is your favorite show/shows? I'm not a TV person, but i love ''The Vampire Diaries'' deeply, i love ''ELLEN'' and of course all the ''Kardashian's'' stuff. 6) What is the one place you can't wait to visit? i actually made a whole post about it, i can't wait to go visit, London, Greece, Hawaii, Italy and Paris. 7)When the time comes and you fall deeply in love. How do you want to be proposed to? i don't have a ''Dream proposal scene'' in my mind, i just want it to be a special and romantic moment, a comfortable-intimate-full of love moment between my partner and i. 8)Do you like to read? If so what is your favorite book? i do like to read, i don't read as much as i'd like to though, probably lack of time. The books i'm constantly getting my hands on are motivational books, love and novels which are my favorites, but if i had to choose definitely ''The Notebook''. 9) What is one super power you would like to have? Definitely the power to FLY. 10) How many languages do you know? 11) Who is your favorite tv/movie couple? Extra question: Why did you started your blog? i started ''MandySharesLife'' mostly because of the passion and love i have for Fashion & Beauty and i thought it was a great idea to ''SHARE'' my ''LIFE'' of it in a blog so other girls like me could identify themselves with the things i liked and become a huge fashion/beauty lovers community. Now here are my 11 questions for my nominees. 6) Name of your favorite perfume. It was really hard to find these bloggers but i had so much fun. Thanks for sharing. I'm your newest follower on both GFC and Bloglovin. In fact, I've shown lots of love (likes) on your wonderful bloglovin post. I hope you'll do the same! Oh Hey there Erin, thank you for passing by :) you got a new follower to your blog here as well. they are simply ''aajhbdjsvfs'' i believe you understood, haha. Thank you for passing by Shayne. This is so sweet thank you so much for nominated me :) I'm very happy to find people that love and appreciate my blog!